Junie B. Jones is a children’s book series written by Barbara Park and illustrated by Denise Brunkus. Published by Random House from 1992 to 2013, the stories begin with Junie B. Jones and the Stupid Smelly Bus, in which Junie B. is an “almost six year old” starting her first day of kindergarten. 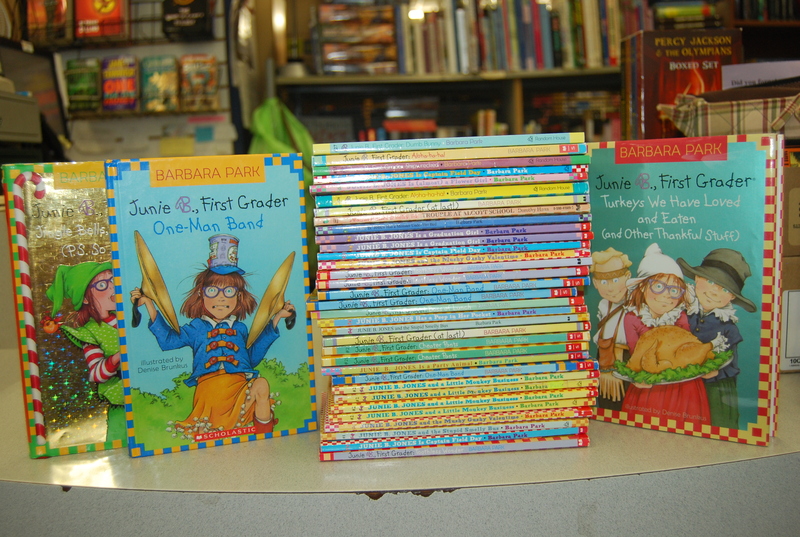 We now have the complete 17 book set of Junie B. Jones. We also have several singles, as well as most of the Junie B. Jones First Grader series as singles. If you ask what the “B” stands for it’s Beatrice except she doesn’t like Beatrice. She just likes B and that’s all.